1. For motors equipped with rolling bearings, first remove the bearing cover, then loosen the end cap fastening screws, and mark the joint between the end cover and the base housing (marks of the front and rear end caps) It should not be the same. Screw the screw of the removed end cap into the two screw holes specially provided on the motor end cover to push the end cap out. 2. When removing the motor with the brush, remove the brush from the brush holder. For the DC motor, mark the position of the brush neutral. 3. When extracting the rotor, care must be taken not to damage the stator coil. If the rotor is not heavy, it can be pulled out by hand. If the weight is large, it should be lifted with lifting equipment. Firstly, the two ends of the rotor shaft are sheathed with a lifting wire rope to lift the rotor with lifting equipment, and slowly removed, taking care to prevent the coil from being damaged. 4. Use tools to remove the pulley or coupling on the motor shaft. Sometimes it is necessary to add some kerosene to the gap between the motor shafts of the pulley to make it penetrate and lubricate for easy disassembly. Some shafts and wheels are tightly fitted, and the wheel needs to be heated quickly (while wrapping the shaft with a damp cloth) to remove the wheel. 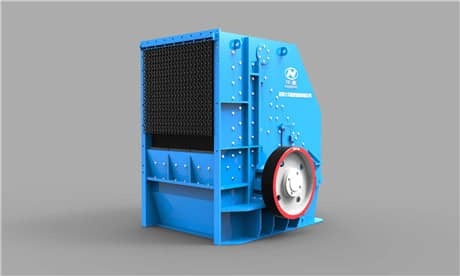 Previous Article：What is Jaw Crusher? Next Article: How to choose Cone Crusher and Impact Crusher in Secondary Crushing Process?